Weddings and anniversaries are a special time in everyone's life! You want everything to be just right, even down to the cookies! 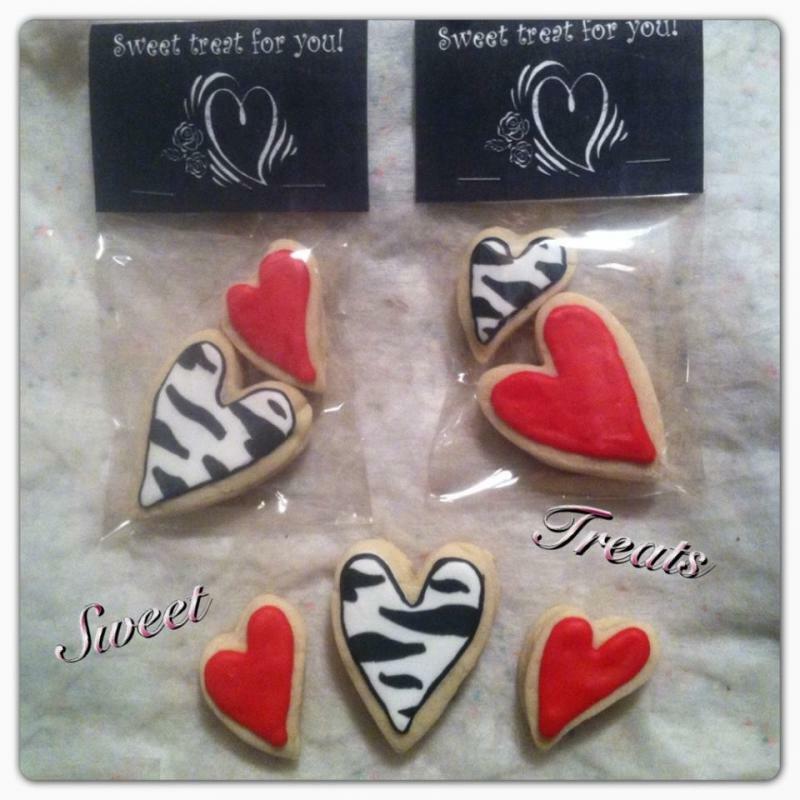 This cute cookie favors are 4" in size and come individually wrapped. With a touch of edible disco dust to give each one a bit of glimmer that you can't see so well in photo. Can add your own color of dots and matching ribbon. $3.50 each favor. 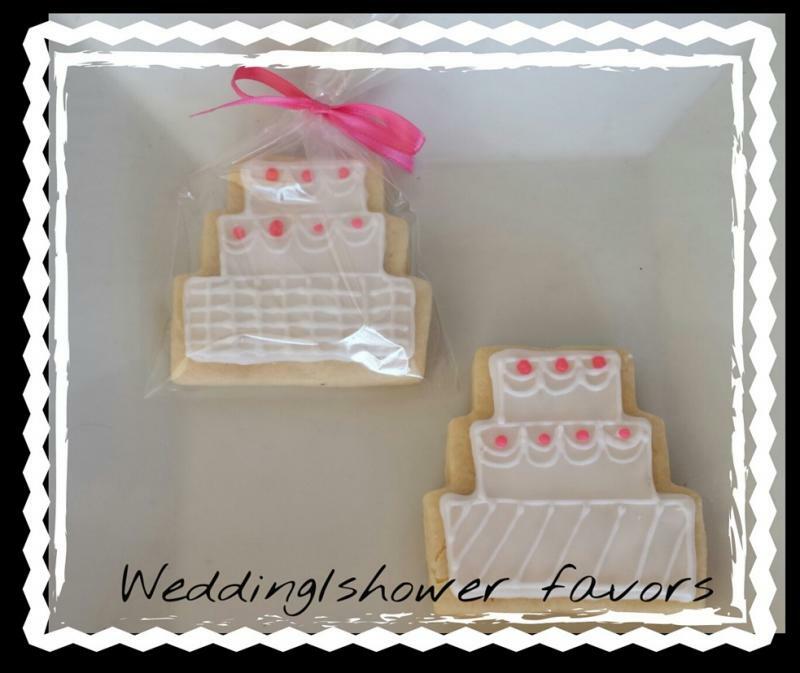 Wonderful for bridal shower or reception favors. Just tell us the color you want the heart. Please order in ample time if large quanity needed. 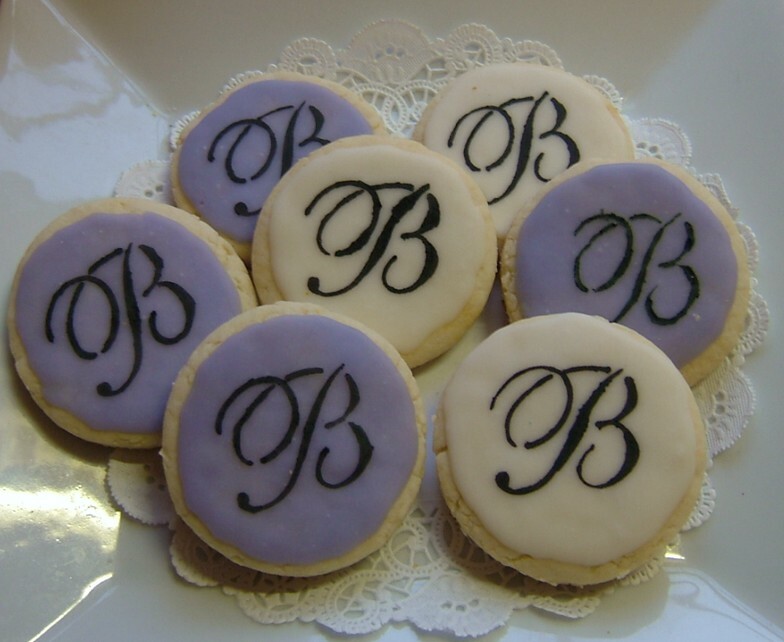 Custom monogram 3" cookies. You choose the oclors. Just email me after purchase at the address below of the date you need them, color choice, and initial. These are sold by the dozen. 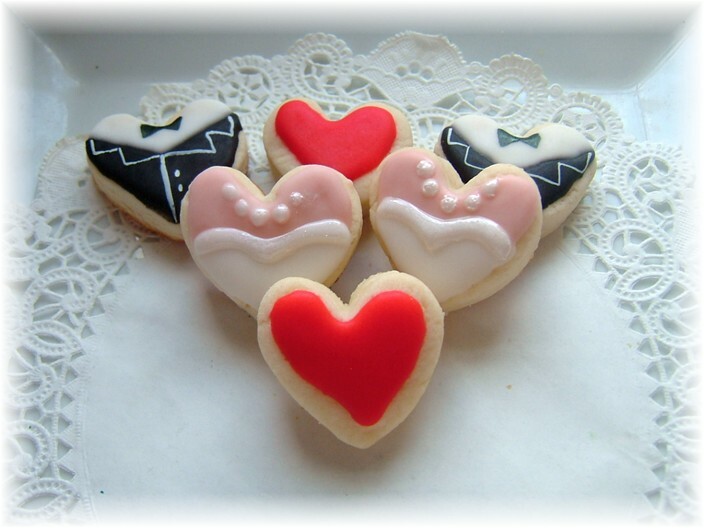 These a a super cookie for wedding, anniversary or birthday. 3" round, pink and purple background. Sold by the dozen. 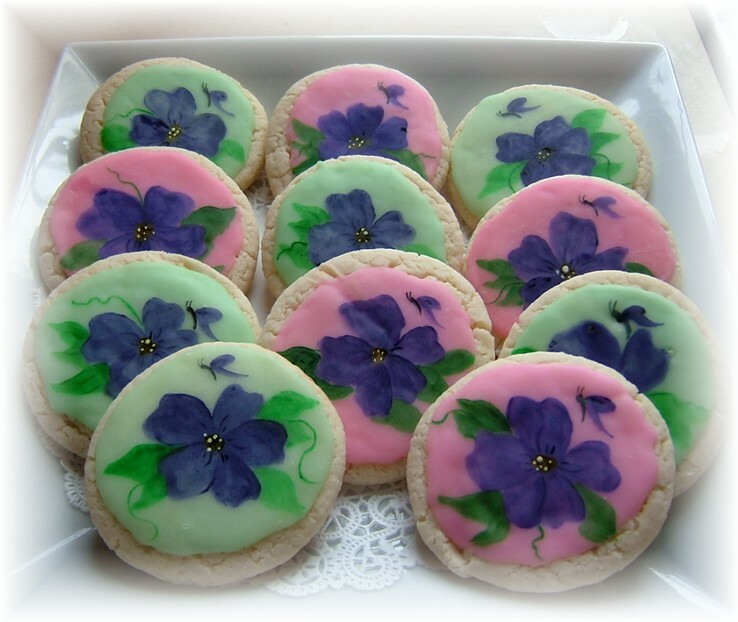 This beautiful collection of cookies is hand painted with food coloring over a delicious sweet layer of icing. 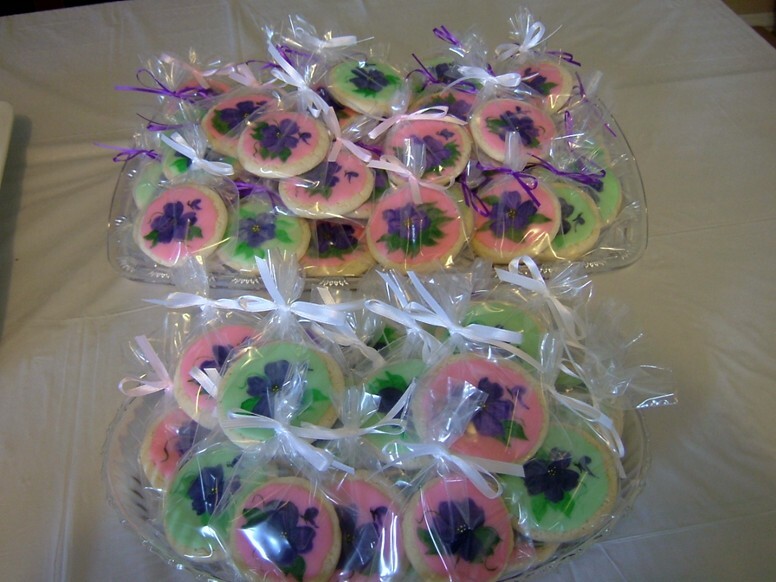 1 dozen variety of pink and green with purple pansy and butterflies. 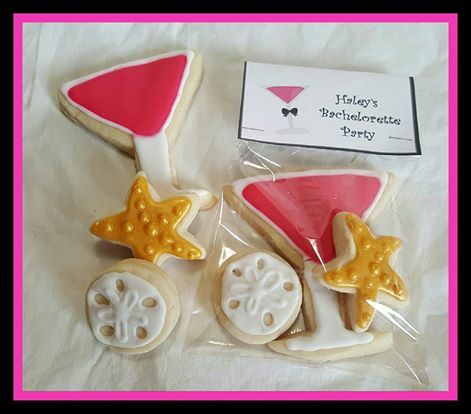 Super fun to have at your next lingerie shower. Can be done in any color combination upon request. Please do allow a litle extra time if orders these. They take a bit longer.3 dzn of the variety above show. Click This collection is a bit bigger than the normal petites on the website. 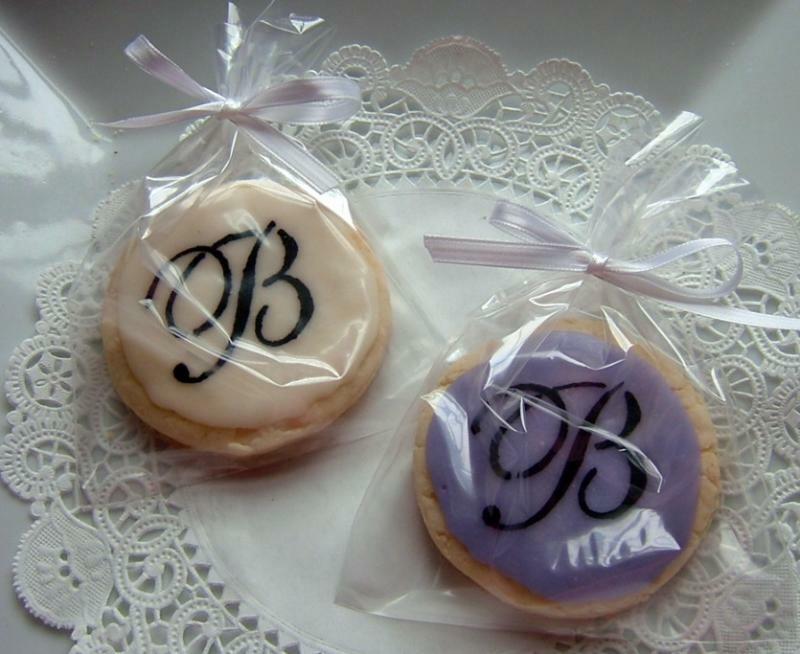 Wonderful for bridal showers or wedding favors. 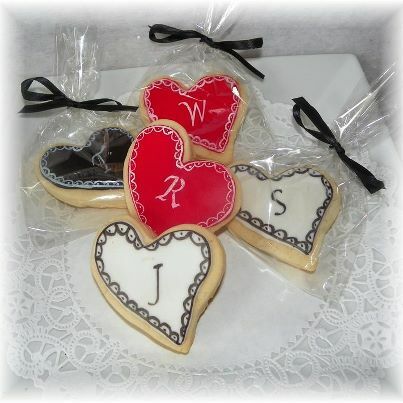 Can be personalized with initials or date on hearts. Heart color can also be changed to match your theme. Please email colors, personalization, and date needed. If you need more than 3 dzn. please contact us for details. 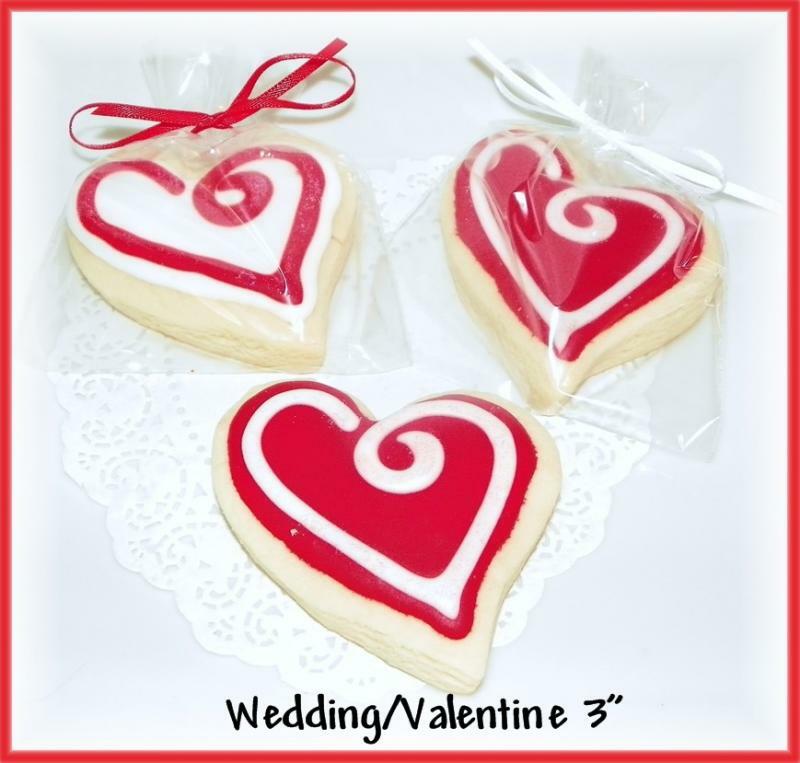 3" wedding heart cookie favors. Can be done in your choice of colors and initial. Individually wrapped and tied with matching ribbon. 1 dzn. 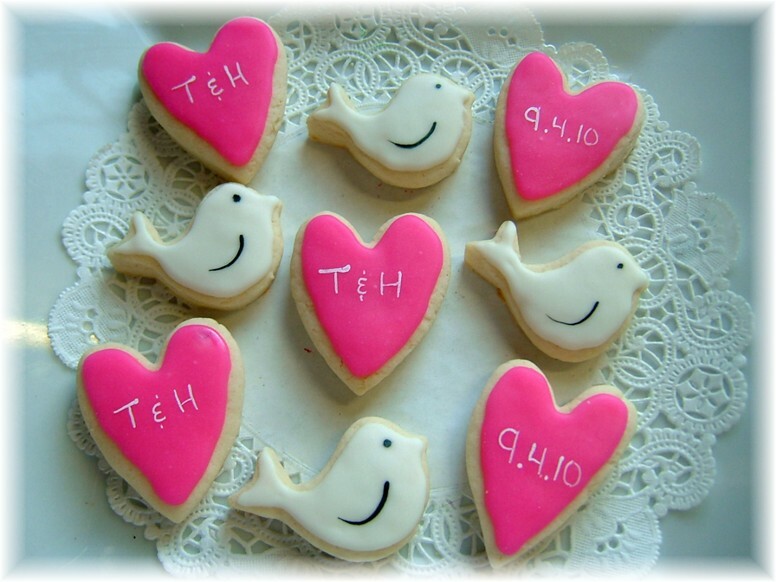 Now who could ask for any cuter bachlorette cookie favors. Made with personalized bag topper for the upcoming bride. 3 cookies in each bag. Star fish, sand dollar, and winde glass. Great for beach party or shower. ***Please let us know name to personalize on bag. Please note that if you want to order more than the quanity of each set, the paypal cart will not add additional shipping to your order. We will need to send a seperate invoice to collect this fee. $4 additional for each set after the first one ordered. "Super cute and super delicious to boot!" "Super fast delivery and all in one piece! 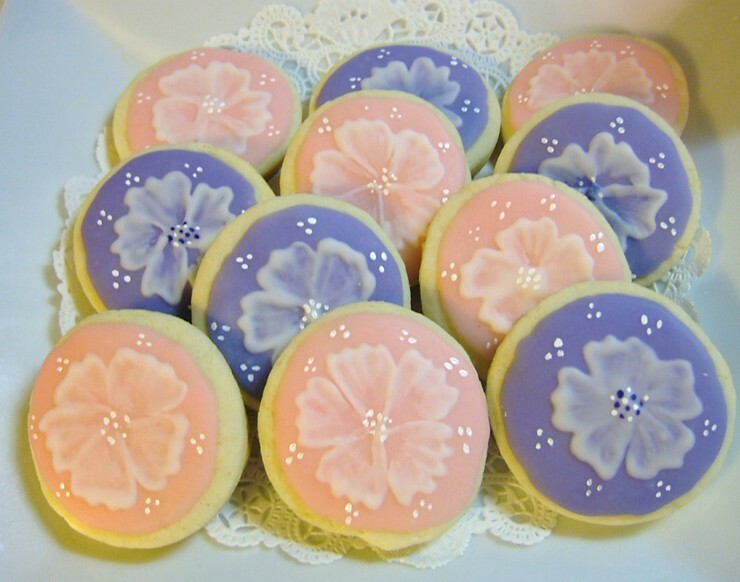 These are darling...just like the picture and perfect for afternoon tea"